Ex Air France Viscount V.708 F-BGNR c/n 35 has been acquired by the newly formed 'Viscount 35 Association' from Skysport Engineering at Hatch, Bedfordshire, England. 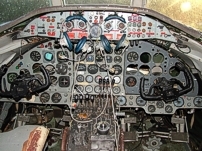 The aircraft is to be moved this summer, when weather conditions will be more favorable, to the Midland Air Museum, at Baginton, Coventry, England where it will be restore to live condition. The dismantled airframe is very complete and surprisingly free from corrosion. It retains a full cockpit and passenger interior, and it is believed that at least two of the Rolls-Royce Dart Turboprops are capable of ground running. 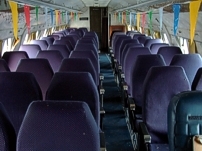 Once restored 'Viscount 35 Association' intend to hold regular open days that may include allowing the public on board while the aircraft has its engines running. F-BGNR was built for Air France and first flew from Hurn, Bournemouth, England on Thursday 6 May 1954. In 1962 it was sold to Air Inter who operated it for 13 years. In October 1973 it was delivered from Le Bourget, Paris, France to Scone, Perth, Scotland to Airwork Ltd. who used it as a ground instructional airframe. Circa 1976 the aircraft passed into the hands of Air Service Training (Perth) Ltd. who used it for the same purpose. 20 years later in December 1996 Skysport Engineering bought it with plans to use it as a conference venue. Affectionately named 'Victoria Lynne' by the restoration team the transportation of F-BGNR is a large undertaking and the 'Viscount 35 Association' is seeking sponsorship and/or offers of assistance for this next stage of the project. A supporters association is being set-up and a twice yearly members magazine is also planned. Anyone who would like to get involved in any aspect in this project, or has any ideas or suggestions, or would like be the editor or contribute articles to the magazine should contact the 'Viscount 35 Association' by clicking this link. 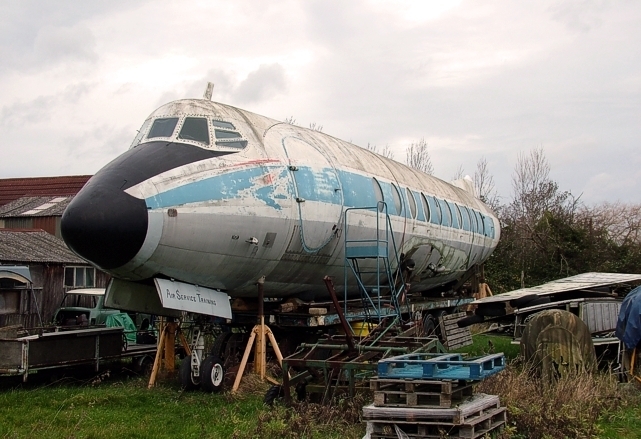 For more information on this project visit the Viscount 35 Association’s web site and watch the news pages here at the Vickers Viscount Network.